Our spec house at 2 Circle Drive, Southern Shores is coming along nicely. Interior and exterior painting is almost completed. The fun stuff is about to start – trim, wainscoting, cabinets, flooring, tile, fixtures, etc. The house will finally take on some personality and style. We can’t wait to see the finished product! 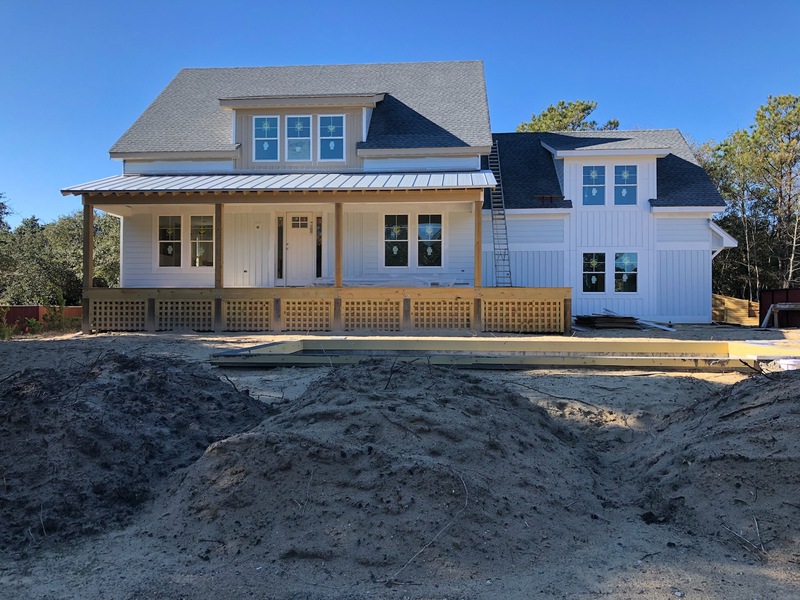 The construction department is putting the finishing touches on a semi-oceanfront new construction home in Duck. The homeowners have created a home that combines the coastal look with the modern farmhouse. Exposed rafters, a painted brick wall, reclaimed wood ceilings and wall accents, a concrete bathtub and so much more. 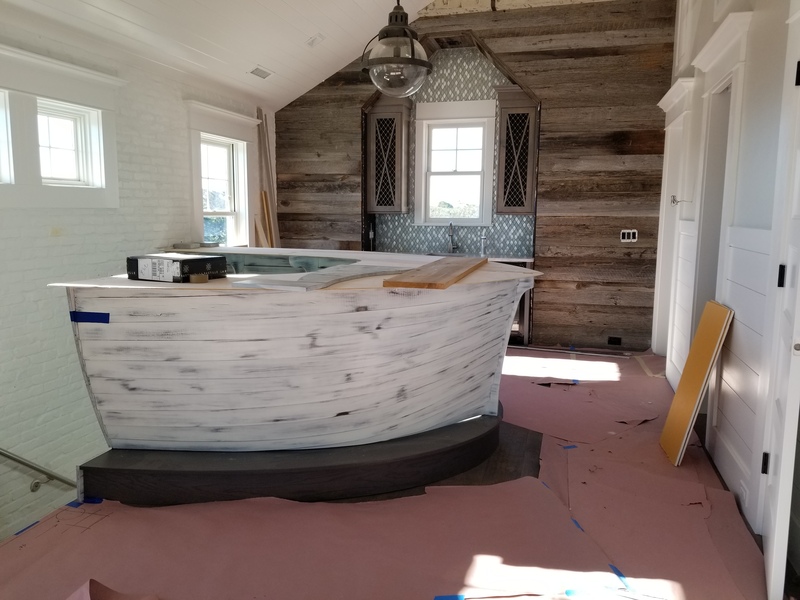 Pictured below is the wine tasting nook’s bar component – yep, it the prow of a boat! These owners had a vision, and our construction team is making it happen! If you have a remodeling idea to implement, please notify us immediately so we can place your home on the schedule. The scope of the project and the rental calendar will, of course, determine the start and end date of any project. Please contact us for an estimate – (252) 261-3815 or beachbuilt@beachrealtync.com.